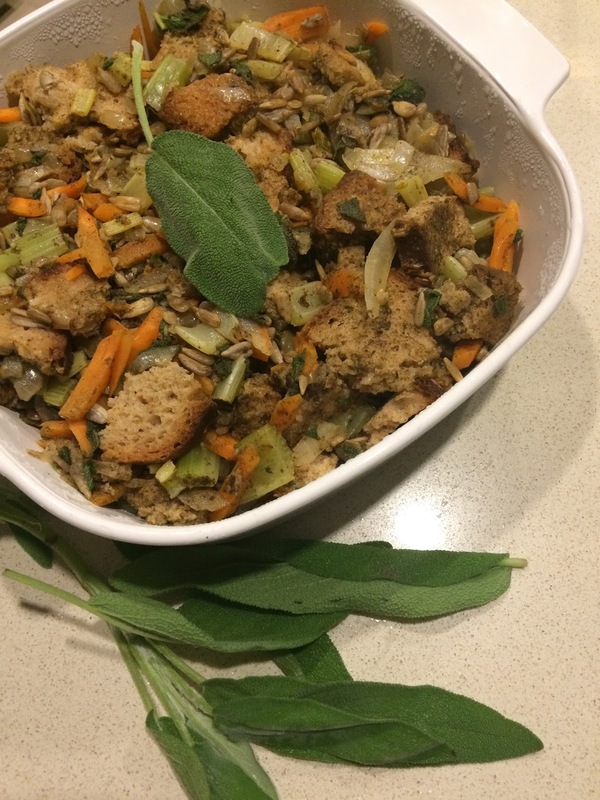 Cooking Uncovered with Chef Miriam: Vegetarian Stuffing for every occasion! 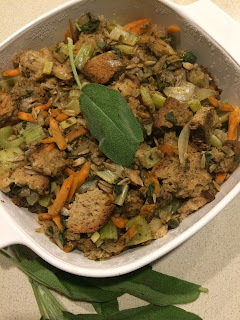 Vegetarian Stuffing for every occasion! Please click here to go to my short video of this vegetarian stuffing recipe. 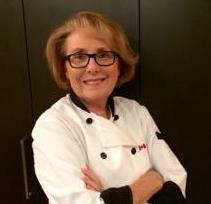 My lovely niece Sarah, from Edmonton was asking about a vegetarian stuffing for Thanksgiving. Here is a very quick and tasty version. Sara you can always add a chopped apple to this dish but as is it is really tasty. Happy Thanksgiving! Melt butter in olive oil in a sauté pan on medium heat. Add onions. Sauté diced onions until slightly transparent. Add diced celery and carrots and continue to sauté. Remember all the ingredients will continue to cook in the oven. Cut up bread in chunks and add to a bowl. Add salt, pepper, sunflower seeds and fresh sage to the bread chunks. Mix together in a bowl. Add bread mixture to the onion mixture on the stove. Mix well in the pan while continuing to cook. Add sage powder & 3/4 cup of vegetarian broth to deglaze the bottom of the pan. Allow to continue to cook for a few minutes and then transfer the stuffing into a small greased casserole dish with a lid. Cook at 350 degrees for approx. 45-60 minutes until internal temperature is 165•. 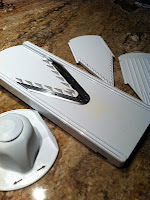 Miriam's Time Saving Tip♥ I use a mandolin to cut up the onions and the carrots which is an amazing time-saving tool.